Want to know what’s new and out there in Vietnamese films? The Vietnamese International Film Festival (ViFF) has it all. ViFF will be screening documentaries, shorts, and full-length features, everything from action to art house films April 7-10th and April 14-17th in Orange County and UCLA. This is a repost from ViFF. Presented by Wells Fargo, the 5th Biennial Vietnamese International Film Festival (ViFF) brings more stories to light from April 7 to 17, with sixty-seven films by Vietnamese filmmakers across the globe. Westminster, CA— Street smart youth explore life, love and loyalty through hip hop and break dancing on the streets of Saigon. A raw, poignant glimpse into the mind of a factory worker who relives her extraordinary boat journey. The real and imaginary life of a five-year old boy detective named Antoine, whose imagination soars leagues above his blindness. The compelling stories of the Da Nang villagers who stand firm and united to protect their land. These are a few of the stories featured in the 5th Biennial Vietnamese International Film Festival (ViFF), an eight day showcase of Vietnamese and Vietnamese Diasporic filmmakers which takes place on April 7 – 10 and April 14 – 17, 2011. 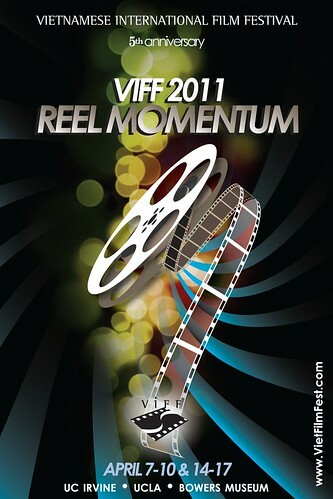 Reel Momentum is the theme of ViFF 2011, which reflects the fast and steady movement of Vietnamese filmmaking by established as well as emerging filmmakers of Vietnamese descent from around the world. Through the universal language of cinema, ViFF uniquely showcases films made by Vietnamese and Vietnamese diasporic filmmakers including but not limited to Australia, Canada, France, Germany, Israel, Poland, United States and Vietnam. *Editor’s note: Who is Stephane Gauger? Read his diaCRITICS interview. Fri, April 8, 2011 Senior Citizen Day @ Bowers Museum (Santa Ana); Free to anyone 65+ years old with I.D. *Editor’s note: Check out reviews of Birdemic from diaCRITIC Michelle Ton and guest blogger Lee Ngo. Thu, April 14, 2011 UCLA Day @ UCLA (Los Angeles). Sponsored by UCLA. Free to all. Screening of CLASH (BẢY RÔNG), directed by Le Thanh Son. *Editor’s note: Read more about Clash with a review from guest blogger Lee Ngo. Fri, April 15, 2011 High School Day @ Bowers Museum (Santa Ana) with evening program set in collaboration with Common Ground (sân chơi chung) open mic – Season 2 Kick-Off. Free to high school students with I.D. Sun, April 17, 6:00pm Closing Night Screening of BI, DON’T BE AFRAID (BI, ĐỪNG SỢ), directed by Phan Dang Di; Awards Ceremony, and Closing Reception (UC Irvine campus) with Closing Night and Awards Ceremony. *Editor’s note: Read diaCRITIC Viet Nguyen’s review of Bi, Don’t be Afraid. 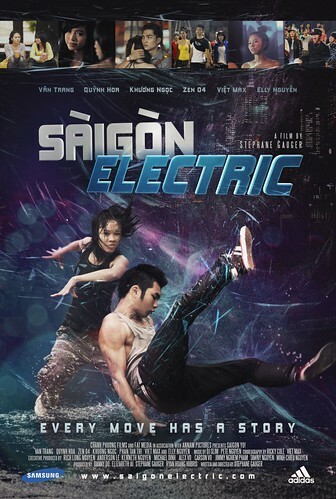 Tickets will be available to purchase starting on March 25th at Tu-Quynh Book Store (714) 531-4284, Bolsa Tickets (714) 418-2499, online @ www.VietFilmFest.com and before each screening. ViFF is presented by the Vietnamese American Arts and Letters Association (VAALA) and UCLA’s Vietnamese Language and Culture (VNLC). ViFF was established in October 2003 to showcase Vietnamese and Vietnamese Diasporic filmmakers. ViFF’s mission is to support, celebrate, and project a diversity of visions and voices from filmmakers of Vietnamese descent and films by, for, and about the Vietnamese people and culture. Cross Cultural Center, Vietnamese American Coalition (VAC), Vietnamese Student Association (VSA), Asian Pacific Student Association (APSA), and UCI Continuing Education, Distance Learning, and Summer Session. Bowers Museum, Access Group Media, Macy’s, Union Bank, N’Vive, DirecTV, Anhoi.com, White Knight International Inc., Brodard Restaurant, Phans55 Restaurant, Pholicious, Live 20 Group, Asahi, Saigon Beer, A2Z Printing and Promotions, Social Bliss, Association of Asian American Studies (AAAS), Vietnamese American Community Ambassadors (VACA), Vietnamese American Chamber of Commerce (VACOC), www.onevietnam.org. Nguoi Viet Daily News, Viet Bao Daily News, Vien Dong Daily News, Viet Herald Daily News, VNCR, Little Saigon T.V., Saigon T.V., Viet Face T.V., VHN-TV, 13 Minutes Magazine, Làng Văn Productions. Please take the time to rate this post (above) and share it (below). Ratings for top posts are listed on the sidebar. Sharing (on email, Facebook, etc.) helps spread the word about diaCRITICS. And join the conversation and leave a comment! Excited? What films will you want to see? What films should have been here? Let us know!